LoYa YOGA CULTIVATES A POSITIVE ENERGY AND SENSE OF CALM FOR KIDS AND ADULTS. AND SENSE OF CALM FOR KIDS AND ADULTS. At LoYa, we believe that yoga is for everyone, whether you are 3 or 103. LoYa is built on two fundamentals: the love of yoga and its benefits, and sharing that love and those benefits with our community. We offer a welcoming, safe and fun environment in which to cultivate positive energy and a sense of calm to the increasingly busy and competitive lives of kids and adults. Our classes always emphasize strength, flexibility and alignment to help develop a heightened sense of mind-body awareness. Small class sizes allow us to support each student in their individual development during each class, in every pose. We are dedicated to offering all of our community the simple, accessible but effective practice of yoga. Our experienced teachers are trained in many different styles of yoga: Vinyasa, Hatha, Baptiste, Ashtanga, Iyengar and Power so each class will be different and allow you to experience a well rounded blend of styles. Interested in seeing our full current class schedule? 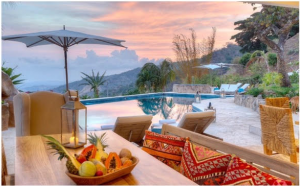 The time is NOW to treat yourself to a holistic wellness retreat. After countless hours of research and visits to Costa Rica, we have found the perfect place for you. The Retreat! Just right heat and style for all yogis. coordinating movement, with breath to flow from one pose to another. All this in a 1-hour class! 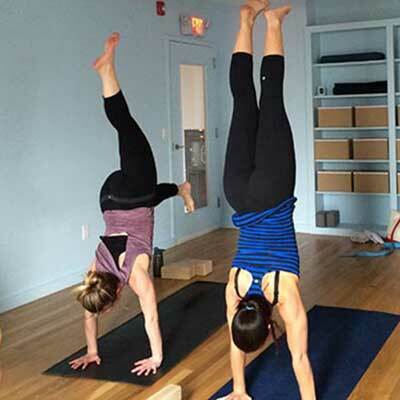 We strive to make LoYa Loft of Yoga a beautiful, clean, friendly space. There are no mirrors so when you practice you eliminate the need to judge, compare and compete. Join us for an upcoming class or workshop to see what we’re all about. 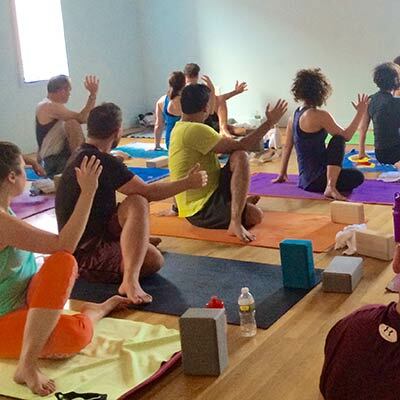 LoYa Loft of Yoga in Summit, NJ is built on two fundamentals: the love of yoga and its benefits, and sharing that love and those benefits with our community. Together, we bring positive energy, fun and a sense of calm to the increasingly busy and competitive lives of kids and adults. Our classes always emphasize strength and flexibility to help develop a heightened sense of mind-body awareness. We support each student in their individual development during each class, in every pose. We are dedicated to offering all of our community the simple practice of yoga in a safe, friendly and fun place. Yoga energizes your body, mind and soul in amazing ways. The sequence of yoga poses (asanas) in combination in a hot room and breath control will strengthen and lengthen muscles, detoxify by stimulating internal organs and sweating, balance hormones, improve focus and reduce stress, and burn calories – all in a one hour class! We invite you to begin a lifestyle of relaxation through yoga with us at LoYa. Know your limitations. Now challenge yourself. Do yoga.